Alison Caldwell: Welcome to the Next Gen Tech Fund podcast series. I'm Alison Caldwell and I work for Defence Science and Technology Group or DST. 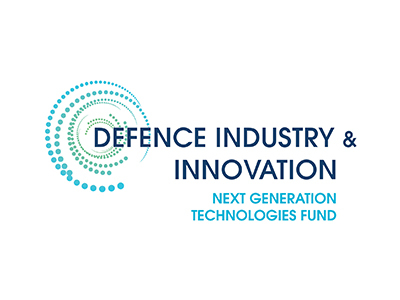 Launched in March 2017, the Next Generation Technologies Fund is a ten year, $730 million program focusing on fundamental research and development of future game changing concepts for Defence. This podcast is about the Grand Challenge program and the first one, Countering Improvised Threats. Shane Canney was the inaugural Project Director of the first Grand Challenge, I caught up with him in Adelaide. Shane Canney: Improvised explosive devices are common across the world and we almost hear on a daily basis about casualties they can cause. Improvised threats are expanding from not just improvised explosives but improvised uninhabited systems and the delivery of chem, bio and radiological effects so it's very important that we set up a Grand Challenge to allow us to counter such threats so they are no longer impacting on the community. Alison Caldwell: Last year in 2017 was the call for people to get involved for organisations to get involved to help come up with solutions for this problem that exists what was the response like? Shane Canney: So we had an amazing response, the Grand Challenges fit under the Next Generation Technologies Fund being led by DST which is a major investment in next generation technologies as the name suggests so we went out with a familiarisation activity across the Australian community and we had over 600 registrations to hear more information about the Grand Challenge, we then had an overwhelming response from the public in our call for proposals we had over 200 proposals submitted across all of the key technology domains that we needed we're focussing in on detection and neutralisation of improvised threats and from that we've down selected 14 preferred partners to go forward in the Grand Challenge. Alison Caldwell: And what sort of technology is involved? Alison Caldwell: What does that mean? Shane Canney: Stand-off means removing the community and operators as far away from the threat as possible so that's going to naturally lead to autonomous systems as a key technology, we also need to then be able to sense and detect the threats in the environment and once the threats have been detected we need to have algorithyms to process the automatic threat recognition and response for those particular threats and then technologies to help neutralise those threats so they no longer pose a threat to the community. Alison Caldwell: Is that like sensors? Shane Canney: Yes so we have a suite of different sensing capabilities across the electromagnetic and acoustic spectrums that have niche abilities to detect the specific threat types that we need to detect that information is then fused into a central situational awareness picture from that the threats are then identified and we respond accordingly to those particular threats. Alison Caldwell: The emerging technologies that you are working on do you think one day they will have civilian applications? Shane Canney: Absolutely so the key driver here is to take disruptive or emerging concepts and technologies and then fund them to potential maturity, for those that do mature we will hopefully be able to pull them through to defence and national security capability but there's also a dual use purpose here where there's absolutely the potential for civilian applications for a number of these technologies. Alison Caldwell: Whereabouts do you think? Shane Canney: Um they are in many sectors certainly across the Australian Federal Police and the government state police agencies is another big opportunity here. Shane Canney: Yes there's probably an opportunity across the medical domain for some of these technologies certainly in the mining industry there's applicability for a lot of the sensing technologies. Alison Caldwell: Is this new for DST reaching out to work with others in the community? Shane Canney: I think the newness is the breadth and the scale of the collaboration here. DST has always leveraged the Australian S&T community and our international partners to collaborate on smaller projects or programs but the newness here is trying to embrace the entire Australian S&T community and focus them in on solving a dedicated problem through the Grand Challenge and bringing together 14 initial partners into this Grand Challenge that level of scale is new to DST. Alison Caldwell: And other countries have Grand Challenge programs don't they? Shane Canney: Sure they do yeah I mean lots of, certainly our international allies all have grand challenge programs Canada, the US, the UK all do these sort of things so we've learnt a lot of lessons from how they go about their grand challenges. This is leading edge next generation technology, highly innovative work and we need to expect that not all of the good ideas are going to mature into something we can take forward but we need to learn the lessons from that and obviously make sure they don't get repeated in the future but that may then allow us to move into a slightly different direction with the same sort of concept or technology. Alison Caldwell: As a scientist what do you see coming towards us in the future let's say 20 – 30 years down the track? Shane Canney: Yeah I think the obvious one to me is miniaturisation of capability and what they call space weight and power, so reducing the footprint required for the technologies so they can be integrated onto dynamic applications such as autonomous systems or autonomous vehicles so the whole miniaturisation is I think a key driver I think there's a major evolution in advanced sensing on the horizon, quantum technologies is often referred to in that area so there's a big push from an advanced sensing perspective, I also think cyber is obviously a key driver for future capabilities. Alison Caldwell: Are you scared about the future? Shane Canney: Not scared about the future I think we need to embrace the technological edge and the key thing from our perspective is to make sure our defence forces have access to the leading technology and we maintain a capability advantage over our adversaries. Alison Caldwell: That was Shane Canney the inaugural Program Director of the first Grand Challenge, countering improvised threats, which is now underway. I'm Alison Caldwell. We'll have another Next Gen Tech Fund podcast for you to listen to soon, so keep checking on @DefenceScience on Twitter, LinkedIn, Google Play or Apple iTunes. Thanks for listening.